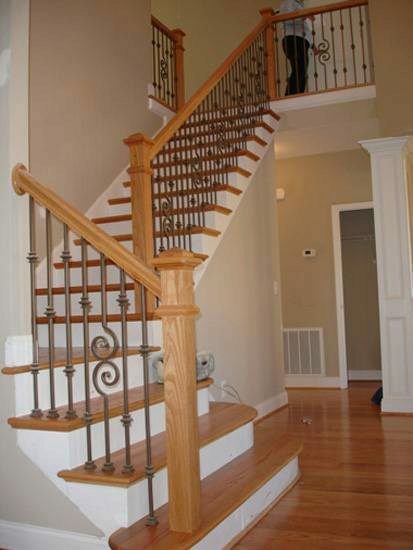 The Nautilus Iron Baluster is a piece that always adds intrigue to a stairway. The two swirls on the baluster draw the eye in and the Forged Iron Balusters make a nice compliment to this beautiful stairway. Click here to view your entire Wrought Iron Baluster offering.